The first elements of European Feudalism appeared in France and Germany in the 9th and 10th centuries. This coincided with the great military force organised by the Normans. Elements of the Roman regime were transferred to European feudalism. Roman villas and their lands were granted to military leaders on a temporary basis as a reward for their loyalty to Rome and the emperor. It was also traditional for Romans to surround themselves with loyal soldiers who provided a substantial fighting force and offered protection. These ideas were adopted in Europe. European nobles increased their power from grants of land from the king in return for military service. European feudalism was born. The spread of European feudalism grew rapidly. From France feudalism spread to the major European countries including Germany, Spain, Italy, Scandinavia, England and the Slavic countries. The hierarchy of European Feudalism occurred with ease. A natural pyramid shaped hierarchy had already developed headed by the king, who was surrounded by nobles. The urge for the great countries of Europe to fight and acquire new lands and territories led to the hierarchy of European feudalism and its main advantage which was that men who were not of noble birth could climb up the Feudalism pyramid of power. If a man proved himself in battle and as a loyal supporter he was rewarded with land (called a fief ) In return for the land the loyal supporter or Vassal would swear an Oath of Fealty and pay homage to his lord or King. The spread and ultimate effects of European Feudalism had significant effects on society. From European feudalism emerged different forms of constitutional government. New ideas led to the resistance to and defiance of the feudal lord. The rights of the majorities and the development of early representative institutions emerged. These were the powerful effects during the decline of European feudalism. 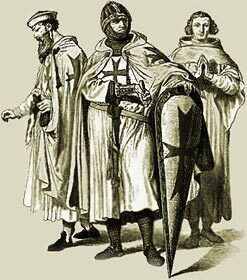 The Medieval Times website provides interesting facts, history and information about these great people and important historical events which scatter the Medieval History books including European Feudalism. The Medieval Times Sitemap provides full details of all of the information and facts about the fascinating subject of the lives of the people who lived during the historical period of the Middle Ages. The content of this article on Medieval life and times provides free educational details, facts and information for reference and research for schools, colleges and homework for history courses and history coursework.